Create Ultimate User Experience With Our Web And Mobile Solutions! Huge proliferation of mobile app is noticed since past few years and so as the app users. Majority things have turned online that has made people smart and time savvy. Today, majority people conduct activities at their convenient time. This increasing vogue of mobile applications has turned majority businesses towards mobilization approach which is now a necessity rather than an alternative. So, if you want to launch a business in food discovery or restaurant business, you need to affiliate with mobile app development company that holds enough experience and have overcome development challenges. After all, best customer experience will boost your business revenue. If you really want to be successful with your restaurant venture then, Indian app developers of Hyperlink Infosystem is your perfect solution. 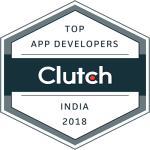 They have employed the finest native app developers to develop performance-driven, responsive and mobile friendly applications on Android and iOS platform. The developers at Hyperlink Infosystem are highly professional and well aware of latest market trends and technology. The strict agility approach and the development pattern helps them to deliver robust, scalable and high-performance application within proposed timeline. So, if you want to thrive your restaurant business, hire app developers from Hyperlink Infosystem at a quite affordable price module and thrive your business. How App Developer From Hyperlink Infosystem Can Help You To Thrive Your Restaurant Business? An Excellent product requires best quality features. We hold the best team of Indian app developers who are striving hard to leverage you best web and mobile product to scale up your business. 1. Online Web and the Mobile app will allow customers to seamlessly connect with your brand. 2. Track orders and respond immediately. Manage orders through SMS, Phone calls, online and other relevant options. 3. Manage all your operations with ease and via online payment options. 4. Allow your customers to reach your restaurant and takeaways with well-guided maps. 5. Promotional offers and your business marketing through mobile applications and social media platforms. Our developers are highly skilled in integrating third party tools and SDK for your business benefits. 6. Easy ordering and reservation with the web and mobile app. We have an array of 500+ clients successfully running their business through mobile and web solutions created by us. Whether it is consumer demand apps, Android apps, iOS apps, Custom apps, custom iPad or tablet apps or anything else, Hyperlink Infosystem can turn your any business idea into reality. Just drop us your words and we will reach you soon. Contact us now.